Often, I find myself thinking about what our house is lacking. There is a very long list of improvements I want to make (kitchen remodel, real laundry room addition, bathroom remodel, mater bath addition, etc). I can get caught up in the whole our-house-will-be-perfect-one-day syndrome. 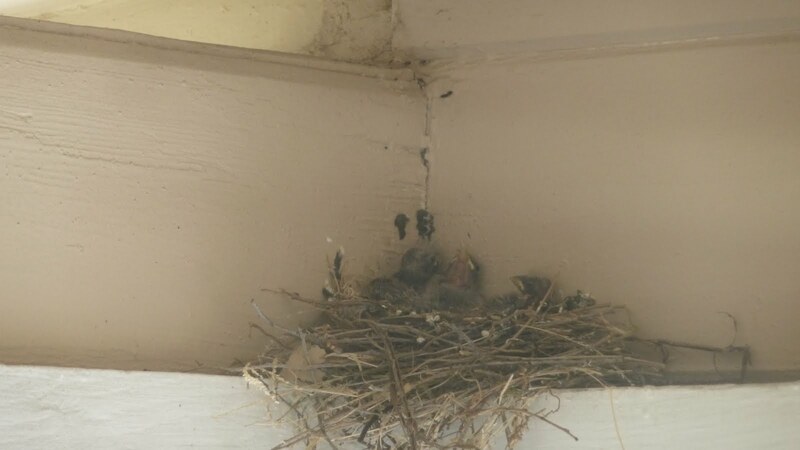 But when I hear these little baby birds chirping from their nest above our front porch, I am reminded how much I love living here. 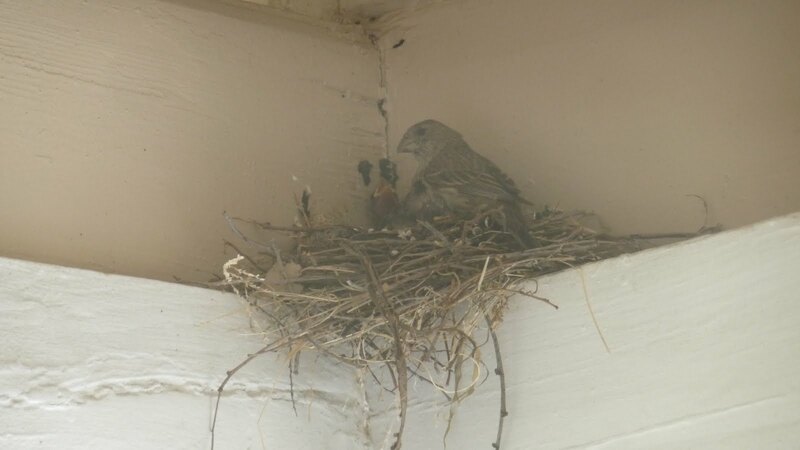 This is the second nest we’ve had with baby birds this year. Here is the first. 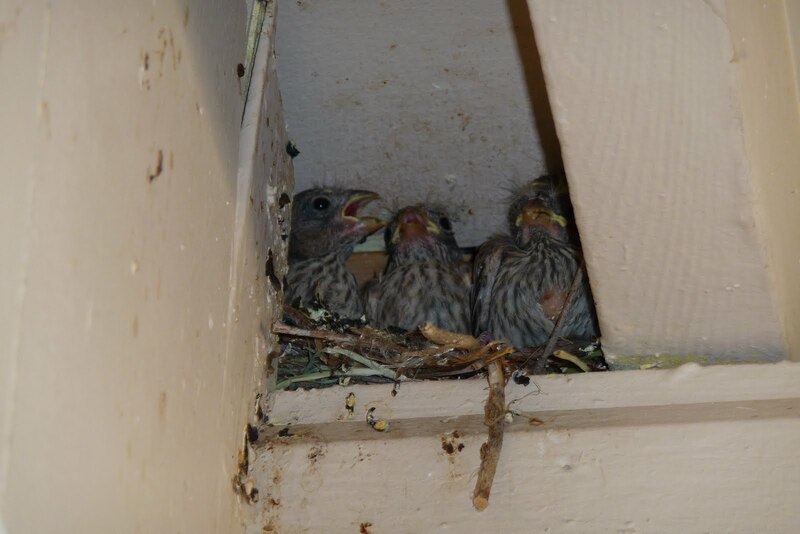 Every time I hear their little chirps and look out our front window to see the mom feeding them, I think about how awesome this is going to be when we have a 2 year old running around and we can show him or her the baby birds. I never had anything like that growing up. How lucky are we? cute! love your new look. Awww, so sweet! I love the area you live in, the neighborhood is very serene. I have been telling Andy that I want to get a bird feeder, there are lots of birds that hang out on our patio ledge, and I really want a bird feeder, but I haven't had the time to go and get one. 🙂 Cute pics.